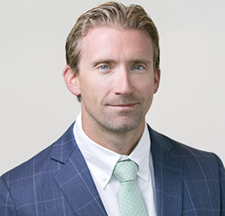 Colby Cox is the Founder and a Managing Partner at Convergence Investments, a real estate private equity firm that specializes in transforming land into innovative residential Master Planned Communities. Since founding Convergence in 2000, Cox has developed more than $500 million worth of real estate assets including over 10,000 acres of planned communities across the country. As a Managing Partner, he oversees all aspects of the firm’s operations and is co-Chairman of the Investment Committee. Cox also serves on the board of several nationally affiliated non-profits, and has been active on boards and advisory panels for the US Green Building Council, and multiple privately held companies. He currently serves on the Resource Council and the Finance Committee for the Grand Teton National Park Foundation. He is also a Trustee of Silicon Couloir, a non-profit in Jackson, Wyoming which seeks to align entrepreneurship with community vision. Since starting his first company at 22, Cox has remained committed to the promotion of entrepreneurial leadership. He founded and continues to lead the Convergence Business Plan Panel, which provides coaching and scholarships to local high school students who have an interest in entrepreneurship. Cox is also a member of the Young Presidents Organization, a group of approximately 30,000 members in more than 120 countries that strive for better leaders through education and idea exchange. He is a member of the Real Estate Industry Network Board and the Jackson Hole YPO Chapter, as well as a member and former Chairman of the Big Sky YPO Chapter. Cox received a B.S. in Real Estate Finance and Construction Management from the University of Denver, where he was a four-year starter and Captain of their Division I lacrosse team. In 2009, he earned an M.B.A. from the Kellogg School of Management at Northwestern University. Cox is an avid homebrewer and paraglider pilot. He and his wife Blythe have three children and live in Jackson, Wyoming.